There is no translation for Blechkuchen but it is a classical Austrian cake form. Blech is a cake sort of cake tray that is long and square and this is where the name comes from. In summer any kind of fruit can be used to top the cake. For a very simple version just add some chocolate and coco and you have a simple but delicious cake. 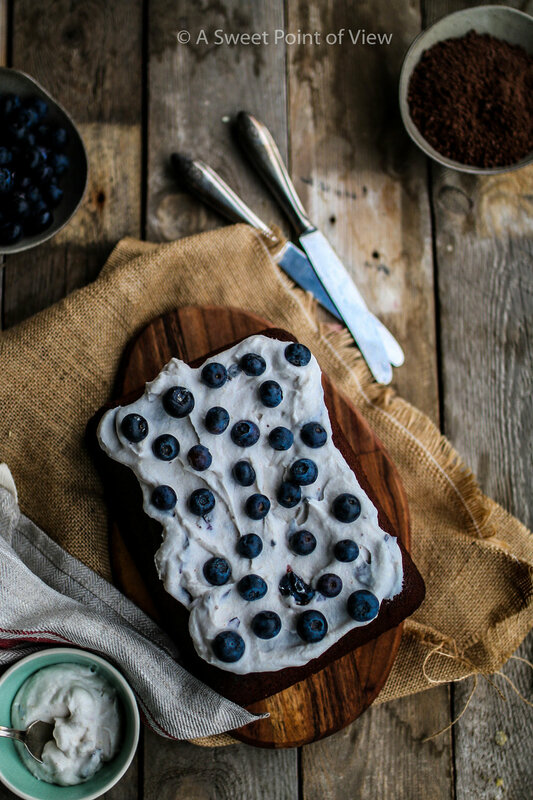 In this recipe, I used blueberries and vegan Whip cream making the cake a bit more special. Even more the cake was nice and liquid and soft inside. Mix all the ingredients and bake the cake for 25 Minutes at 180 C. Let the cake cool. Then whip the cream and add the blueberry marmalade. Cover the cake with Whipcream and Blueberries.